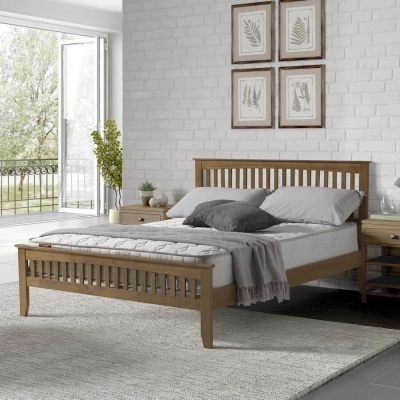 This charming high foot-end double bed frame with a warm feel has a chunky robust frame with slatted head and foot-boards typical of shaker style. 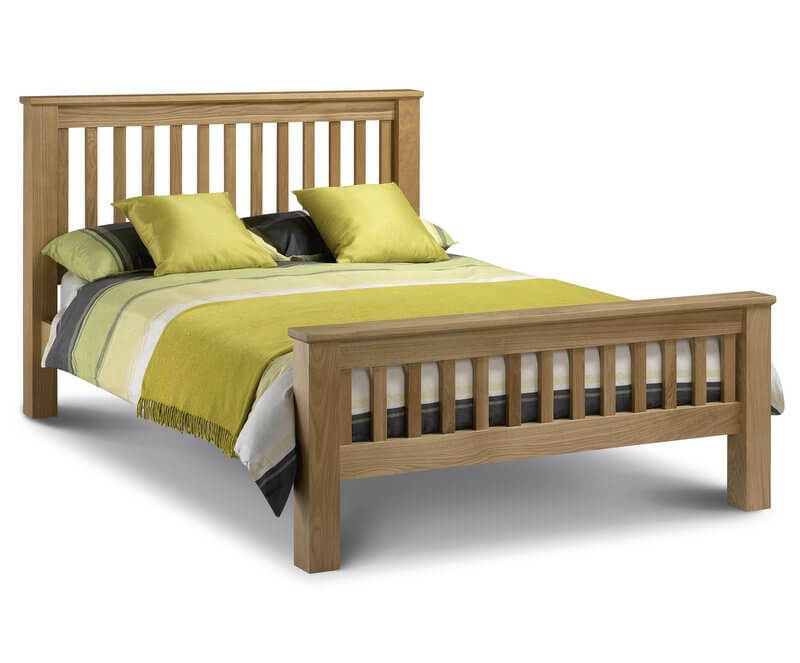 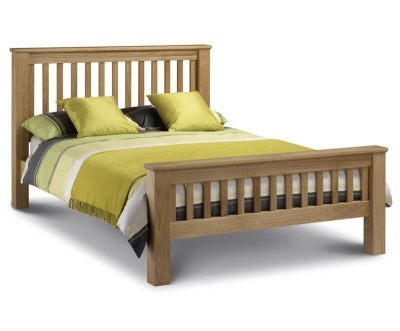 Crafted from solid white oak and real oak veneers with a strong and sturdy build. 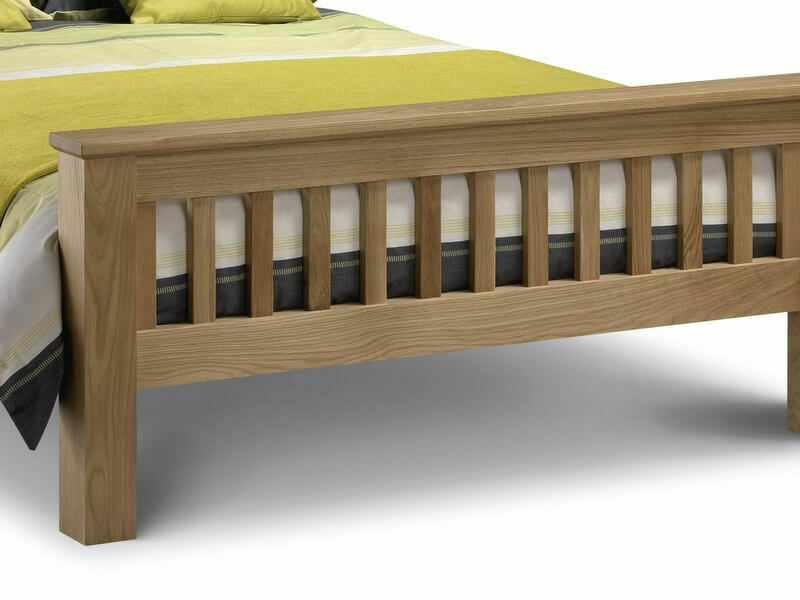 Underbed clearance - 22.5 cm. 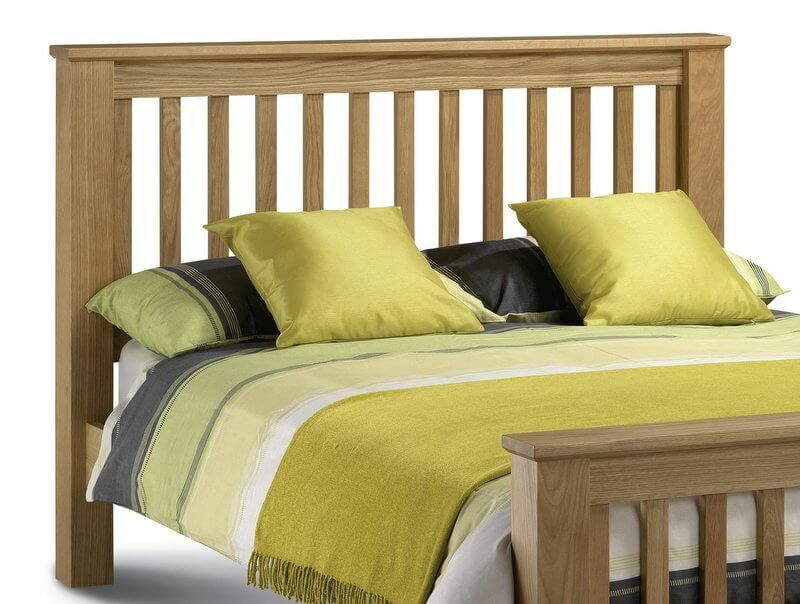 Footboard height - 65 cm. 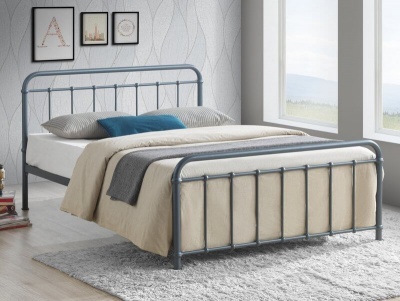 Available as the bed frame only or with the Deluxe or Elite pocket 1000 double mattresses.